Riding higher on buoyant festive spirit, the yellow metal spiked to near one-month high at the domestic bullion market here on frantic stockists buying even as a global selloff in commodities continued. 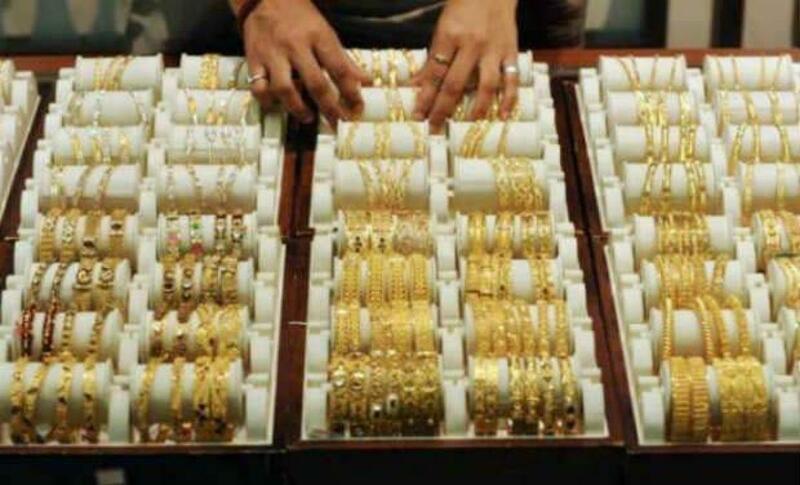 The rush for gold seems to be keeping pace as jewellery stocks and retailers ramped up demand ahead of the peak festival season as well as wedding-related amid good local buying interest, a bullion trader said. Elsewhere, silver also shot-up to reclaim the key Rs 36,000 mark due to heavy speculative buyout. Standard gold (99.5 purity) rose by Rs 190 to finish at Rs 26,605 per 10 grams from Thursday's close of Rs 26,415. Pure gold (99.9 purity) also jumped by a similar margin to end at Rs 26,755 per 10 grams against Rs 26,565 earlier. Silver (.999 fineness) rallied by Rs 510 to conclude at Rs 36,210 per kg as against Rs 35,700 previously. The bullion market was closed on Friday for EId. In worldwide trade, the yellow-metal retreated sharply after a two-day rally on the back of strong comments from the Federal Reserve chairwoman Janet Yellen that the US economy would warrant an increase in interest rates before the end of this year amid optimistic outlook for economic growth. The US second-quarter GDP growth accelerated more than expected at a 3.9 per cent annualised pace fuelled by improved consumer spending and also including a sustained improvement in the jobs market. Gold for December contract settled at USD 1,145.60 an ounce on the COMEX division of the NYMEX late yesterday and silver December delivery eased to USD 15.11 an ounce.